Indian playback singer, songwriter and compose Armaan Malik is known for appearing on the reality show Sa Re Ga Ma Pa L’il Champs. He finished at the eight place on the show. He has sung over 200 songs and won several awards throughout his career as a singer. Armaan Malik was born on 22 July 1995, in Mumbai, Maharashtra, India. He’s currently 23 years old. Armaan attended Jamnabai Narsee School in Mumbai and later enrolled at the Berklee College of Music, Boston, Massachusetts, graduating in Music with honours. His body stats are currently not available. Armaan made his singing debut with the song “Mere Buddy” for the 2008 Hindi film Bhoothnath. Amman Malik made his onscreen debut in the 2001 Hindi film, Kaccha Limboo. In 2006, he appeared on the reality show ‘Sa Re Ga Ma Pa L’il Champs’ as a contestant and reached the finals but was only able to secure 8th place. Armaan Malik net worth is currently not available. He has been singing since he was 4 years old. Armaan took Hindustani Classical music classes from Rita Kaul and Qadir Mustafa Khan. He is signed by T-Series for non-film music. 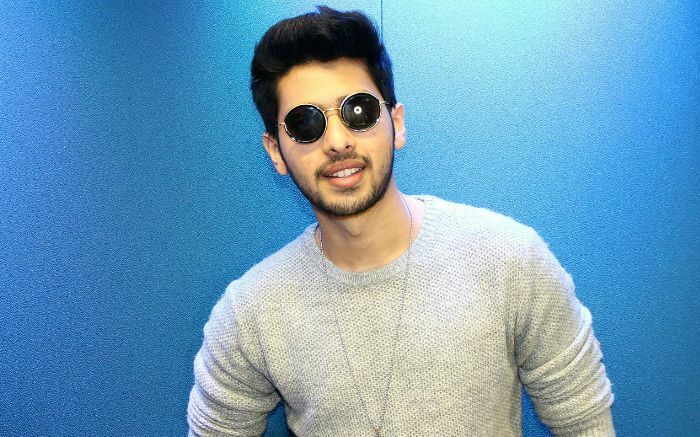 Armaan Malik lent his voice for the character Salim in the radio version of Slumdog Millionaire for BBC Radio 1. He has also featured in few movie songs like ‘Love You Till The End’ song from Jai Ho. He is the youngest singer in India to have won two Debut Awards at the prestigious Global Indian Music Awards (GiMA) in 2015. He’s also the youngest to have won the Best Playback Singer Award at the Big Star Entertainment Awards & Stardust Awards, 2015. He refers his fans as Armaanians.